I’ve been sewing this week. 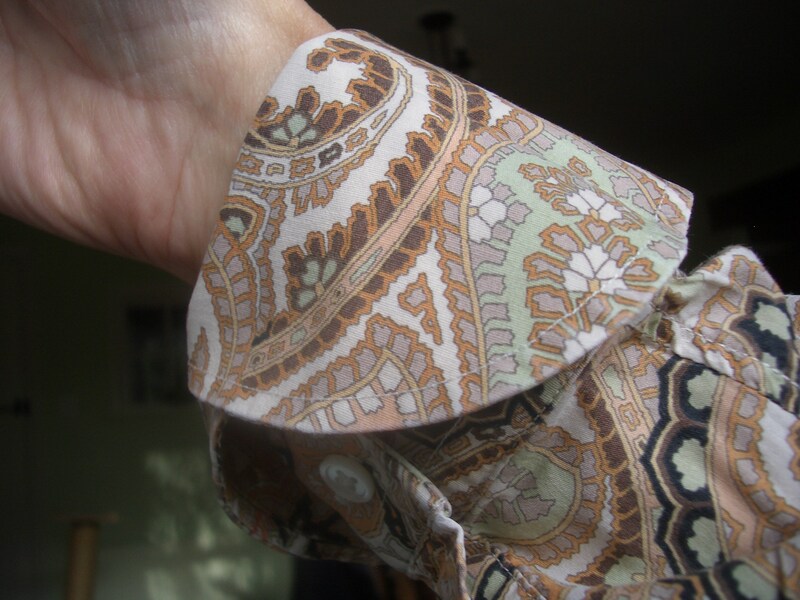 I have a paisley-patterned shirt that I like a lot, but now that I seldom wear a suit for work I find I’m just not picking it from the shirt stack in my wardrobe. Why? It’s the cuffs. They are the double, fold-back type which work fine with a jacket, but are just too bulky under a sweater. Time to do something about them so I can get more wear out of this top. I started by drawing a cutting line across each cuff with tailor’s chalk. 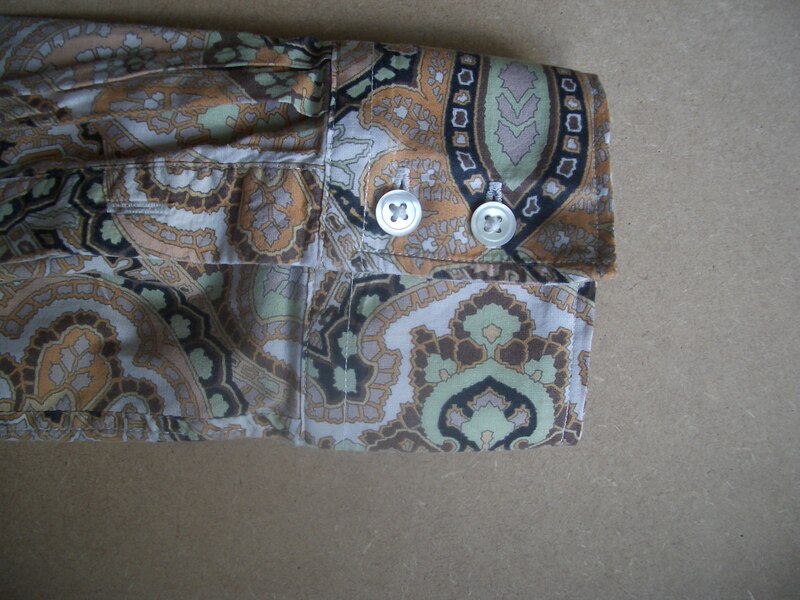 I placed it such that, allowing for a ½” seam allowance, the buttons and buttonholes would be more or less in the middle of the new, single cuff. Next I unpicked the topstitching before cutting along the line, to give me long ends of thread that I could finish off neatly and securely. 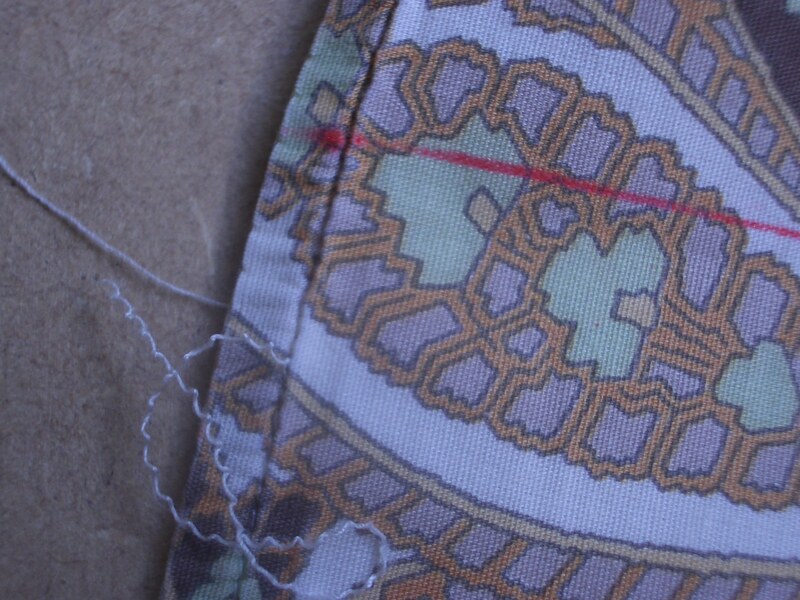 All I had to do then was turn under the raw edges to the inside by half an inch, tack each cuff and its facing together, slipstitch that seam and fill in the gap in the topstitching. Now I have a much more wearable shirt. I can pop even fine knitwear over it without worrying I’m going to stretch the woollen cuffs or look like I have strangely bulky wrists. This has started me thinking about other little-worn garments I own that would benefit from a minor makeover. For a start, there’s a black velvet jacket with unfashionably puffed shoulders, but the light at this time of year is not the greatest for working on black velvet. That one may have to wait until Spring. While I had the sewing machine out, I ran up a couple more bags for washing delicates, using the last of my netting. These are ideal for ensuring my hand-knitted socks don’t get mangled in the washing machine. I’m going to buy another metre of netting and make a few more bags as Christmas stocking fillers for the females in my family. 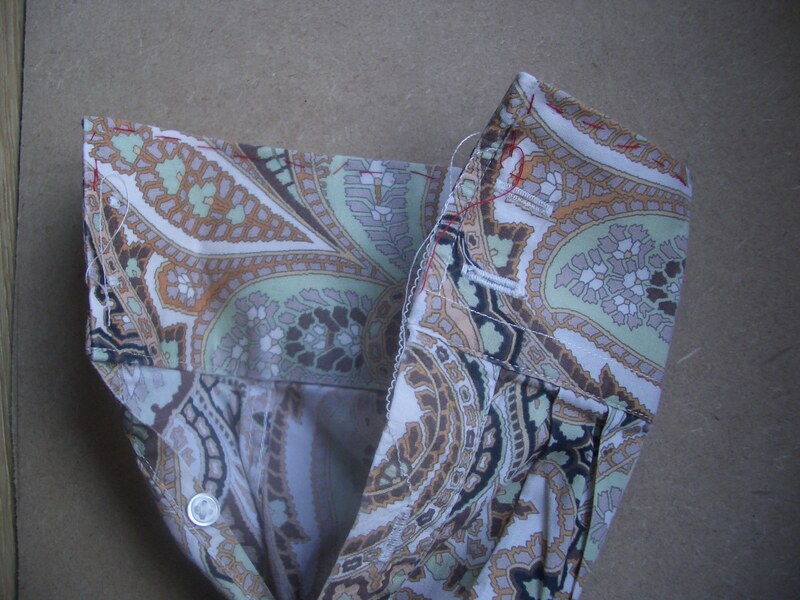 This entry was posted in sewing and tagged cuff, lingerie bag, sewing alterations. Bookmark the permalink.